Skin Elements is making us love our coffee habit even more than usual because of their amazing, caffeine-based products (think everything from shampoo and conditioner to body wash and lotion) that can fix up your whole beauty routine. 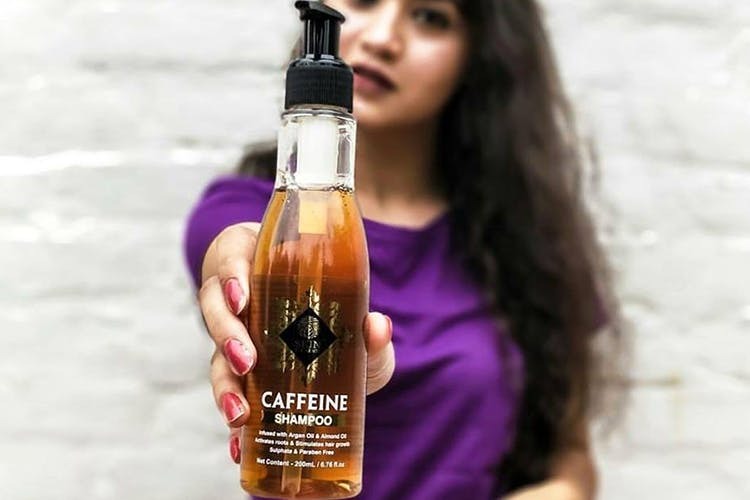 It may seem like an awkward idea to many, but caffeine actually helps not just with hair fall and hair growth, but also makes your hair much smoother—which means you can kiss untangled, unmanageable hair goodbye. If dark circles, sun damage and dull skin happen to be a problem, caffeine can sort all that out! The products by Skin Elements are all caffeine-based, and can really make your life (and beauty routine) much easier. We absolutely loved their shampoo, which is a perfect concoction of caffeine, argan oil and almond oil and really helped with giving us manageable hair that was smooth, and full of volume. The body wash has a delectable smell, and is sulphate-free. The lotion, too, is a winner and will give your skin a healthy glow with regular use. We love Skin Elements because the products are paraben-free, natural and just very good. Their range starts at INR 399 which is pretty affordable too. We're not too sure about their availability in stores. But, you can easily order them via their website.